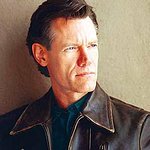 Country music star Randy Travis is to play a special charity concert in Ohio tomorrow night, August 14. Travis will perform at the Fraze Pavilion in Kettering to raise money to support research to cure Cystic Fibrosis and for the Martha Franz Fund at the Children’s Medical Center of Dayton, which supports the needs of local CF families. Tickets to the concert cost $26, and are available here.